Mid-America Television, a subsidiary of Kansas City Southern Industries, has offered to sell all equipment and furnishing of the Channel 6 television operation, located in Sedalia, to Central Missouri State University with the understanding that the university would operate the station on a non-commercial basis, serving the central Missouri area with public television programming. The sale price is $1,000 which will include all equipment and furnishings except the tower. 1. It would exemplify the motto “Education for Service” since CMSU would be providing educational, cultural and informational programming to a large part of the State which is not now being served. 2. Although there are more than 200 public television stations in the United States, many of which are operated by universities, CMSU would be the only educational institution in Missouri to operate one. The resulting statewide exposure would be enormous. 3. The observation of station operations and programs, participation in the broadcasting operations, and the apprenticeship experience with the faculty and staff specialists responsible for its activities are all essential to the educational processes leading to the preparation of media representatives of the future. It would provide opportunities for student involvement from a number of departments such as graphics, electronics, mass communication, music, business, data processing, theatre, and speech. 4. It would also provide commercially comparable training for students interested in public affairs, sports broadcasting, and the televising of theatrical and musical events. 5. Many departments and schools have educational obligations to off-campus groups; systematic programs of continuing education to reach such special audiences as teachers, nurses and other members of the medical profession, law enforcement officials, and industrial hygiene and safety personnel can be facilitated through public television. 6. Such an operation could eventually lead to the development of a two-way microwave system for teaching at remote locations. The offer to sell KMOS, formerly a CBS station, came about as KCRG 13 in Jefferson City became the CBS station for the region. The deal did include the use of the tower for repeating the CBS signal to the Sedalia area. Although the sale included equipment, much of it was not used because it was black and white. The transmitter, a 1940s vintage RCA system purchased from an ABC station in Indianapolis, was adapted for color broadcasting. KMOS signed on for the first time as a PBS station in December 1979, finally receiving permission from the FCC just days before Christmas. The license was approved on Friday, and the station went live at 3:00 the next afternoon – Saturday December 22. The staff was comprised university faculty, staff and students, some of whom had previously operated the cable-based CMS-TV. Led by John Bradley, a Missouri native who spent his military career installing broadcast stations around the world - with the Armed Forces Radio and Television Service. Chief engineer Dan Davis, also a Missouri native, first came to the station as part of the technical consultant team, but stepped in after the original chief left. As a television station, KMOS is licensed by the Federal Communications Commission to operate in the public interest, necessity and convenience. Every eight years KMOS must reapply to the FCC for renewal of the license, which assesses the station’s technical and content-related activities. In addition, the operation of towers for microwave and broadcast antennas are regulated by the Federal Aviation Administration. 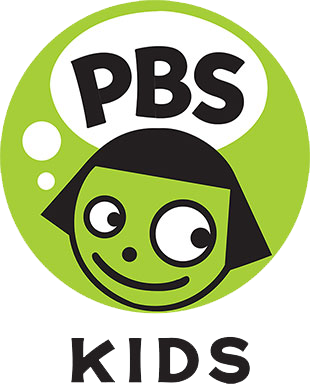 The Public Broadcasting Service (PBS) provides to 212 stations nationwide programming rights and a variety of related services. 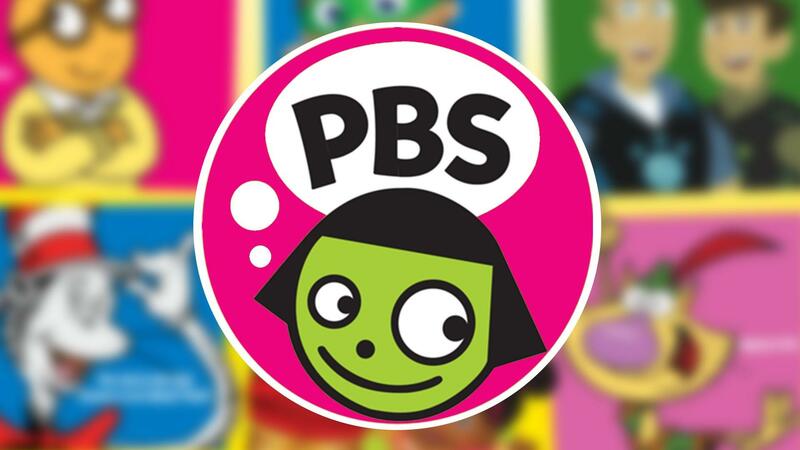 PBS, and the stations, receive Community Service Grants (CSG) from the Corporation of Public Broadcasting, a quasi-governmental entity charged by the federal government to distribute public funding for public broadcasting. These funds are used for national program production, local program license fees and other uses in service of the communities to which stations are licensed. KMOS Master Control initially occupied only part of the north wall. Three three-quarter inch video cassette recorders (VCR) were used to playback parts of the breaks. Station IDs and various other messages were on slide film, which reached the air via a film chain device (and audio from cart machines. Changes in the technology and room configuration occurred incrementally to get us to the current state with server storage and automation. These included the addition and removal of one inch reel-to-reel VTRs and better VCRs, synching all the devices with a common device, removing the film chain, and removing tape storage. Many students helped engineers pulling cable and installing equipment, and were heavily involved in all aspects of the station, on-air operations, in-studio and field productions, creating on-air promotions. Governor Joseph Teasdale signs S.B. 835. To his left Senator Harold Caskey and manager John BradleyThe station formed a citizen advisory board (CAB) to help guide the station in the early days, they helped with fundraising. The first few pledge drives used phone banks at remote locations in the region – most likely coordinated by the CAB members. One of the original members was Maurine Achauer, a very active member of the community and university. She worked with Bradley and other board members as they sought state funding for all Missouri public television stations through S.B. 835. In first years the station was operated for only a few hours each day, totaling 67 hours per week. PBS had begun only a decade earlier, and so KMOS evolved with it, becoming one of the first, if not the first, to sign on using a ten-meter satellite dish. Previously, programming was delivered on tape or via phone lines. Currently KMOS broadcasts three signals 24/7, using a six meter dish located in the parking lot. The other dishes are used as back-up and for occasional programming delivered via other satellites. Through the years KMOS produced many series. In the first few years they included a regional magazine (Mid-Missouri Images,) in-studio battle of the bands on (Country Spectacular,) a co-production with the art department (Scanning the Visual Arts,) a pair of talk shows - Conversations (community focused) and one on senior citizen issues (Silver Set Generation,) and a review of local sports of all kinds on Missouri at Play. In the 1990s a new regional magazine show called Central Missouri Focus joined University Magazine and Sportspage in the local line-up. In 1998 KMOS produced a live call-in show to follow a national presentation of The Farmer’s Wife, a documentary film portrait of a Nebraska farm couple. In 2004 similar call-in programs were launched under the title KMOS Live, beginning with The Forgetting: A Portrait of Alzheimer’s. Other editions covered the economy - based on local sessions we convened, Investment Fraud with Missouri Secretary of State Robin Carnahan, as well as domestic abuse, the digital TV transition, Countdown to UCM, and UCM Study Abroad. Locally-produced specials include: Sedalia: A City Prepared about the 1977 tornado that hit the city, The Magic of Hot Air Ballooning, which covered the last of the Great Pershing Balloon Derby events in 1977 at Pershing State Park. These programs were produced by students and staff prior to sign-on. Other early programs included Jimmy Kirkpatrick: A Portrait of Service, The 1980 Missouri State Fair, In the early 80s, a local writer/actor named Steve Scearcy. Performed in the studio a one-man play that he wrote about Jonah inside the whale (Hey, It’s Dark in Here!). A year or so later he wrote, and KMOS produced Those Yesterdays, which portrayed small-town life from the front porch. Both specials were taped and broadcast on KMOS. Over the years other specials produced included Show-Me the Vote, The Dirt on Racing, They Speak Chinese. Within a year of launching, KMOS provided Instructional Television (ITV) service comprised of 15 minute programs with supporting materials to K-12 schools in the region. Under an agreement with KCPT in Kansas City, KMOS relayed six hours of instructional programs to central Missouri between 1980 and 1989. In 2003 KMOS launched its local service that could focus delivery of content to meet Missouri educational standards. This service included broadcast of programs with comprehensive print materials, and early online email and list-serve. Funding for this service came primarily from the state of Missouri through legislation establishing a tax on the sales and rentals of home video. This service changed over time to the Instructional Telecommunications Service (ITS) and included support for educators through workshops. When the CPB, PBS, and the U.S. Department of Education launched the early education Ready to Learn initiative, KMOS successfully applied for grants that allowed the station to provide training in the community. Between 2006-2009, the RTL Train the Trainer workshops included educators, Parents As Teachers programs, and others. In addition, workshops supported other initiatives, including promotion of healthy lifestyles for children through nutrition, fitness, practical parenting strategies, and children’s health issues, such as immunization, hand sanitization, and communicable diseases. Other grants were awarded for the station’s activities related to support for parents, veterans, immigration, mobile technologies and literacy through distribution of thousands of books to families in the region. KMOS continues to distribute donated books every year. This funding came directly to public television stations, to K-12 schools to pay for the service, and to higher education institutions for satellite teleconference equipment, fiber optic feed to multiple buildings on campus, and fees. The satellite-based service from PBS Adult Learning Satellite Service (PBS ALSS) was replaced on campus by the university’s first interactive video classroom located in Wood 17 & 19. It was built, and initially maintained and operated by KMOS-TV in partnership with the Distance Education department. These activities established KMOS-TV’s integral role in the university’s Statewide Technology Mission until the state funding was diverted away from public television and higher education towards K-12 computer technology. This allowed KMOS to test market a service delivering content via portable hard drives. Funding for this did not last long after 2003, and since then PBS and other online services have been launched. KCMW operated as a public radio station in the top floor of the administration building for years, and also served the university and the community. In 1985 it was moved to Martin 23, and operated under what became the Broadcasting Services of the university, overseen by John Bradley until he retired, and then by Donald Peterson. KCMW became KTBG, 90.9 the Bridge in September 2001, when it replaced jazz and classical music with the AAA format. The staff, led by program director Jon Hart successfully built audience and membership for the station with this format, in-studio interviews and compilation CDs. The station was sold to KCPT in 2014. Nationwide premiere of the film Annie benefits PBS stations. KMOS hosts event at Forum Theater in Columbia, attendance 500. Partnership with Lee Mace brings his Ozark Opry series to KMOS. 1987 Mrs. Ucola Katzentine endows Broadcasting Services with major gift used for equipment and ITV services. 1993 For 13 weeks Inspector Ken Leslie appeared after each new episode of Where in the World is Carmen Sandiego? to challenge viewers with geography quiz. Prizes included T-shirts and stickers. Started full production webcast of Mules and Jennies sports. Students began hosting Sportspage in November. Your Thursday premieres with KMOS presents Missouri Life, Arts Upload, Upstart: Film, lowdown.